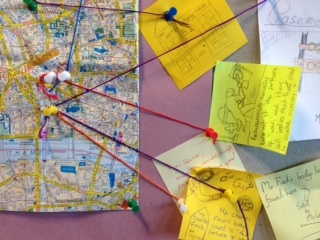 A small London street map cost £2.00 from Amazon and pins and string did the rest. Google Earth helped! A teaching outline in PowerPoint. 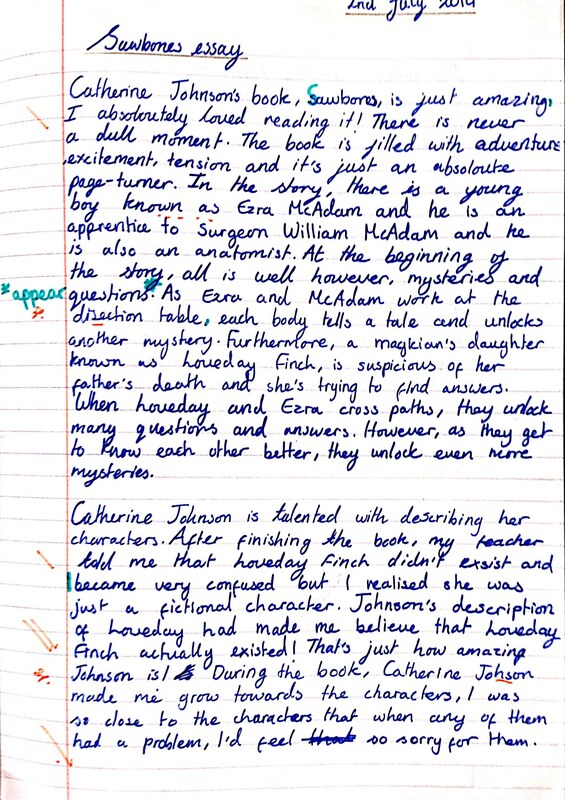 I have included this much as I taught it, and included screenshots of the tasks and student work. 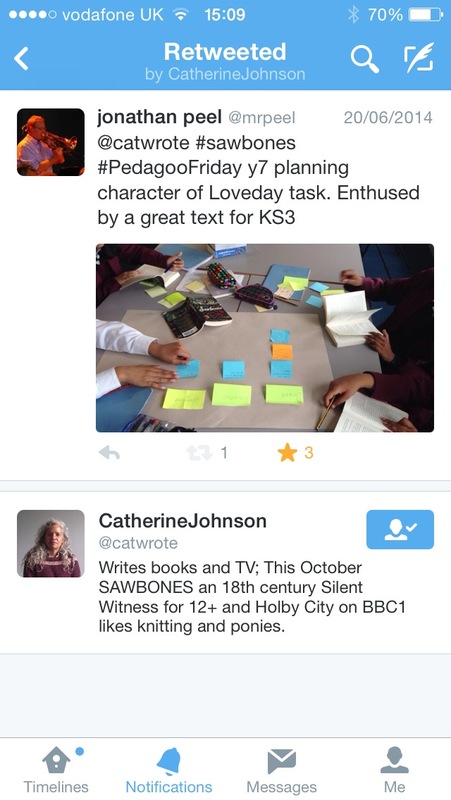 Also, some of the many tweets of support by @catwrote who has been exceptionally kind in her comments to my brilliant Yr 7 class- the guinea pigs. 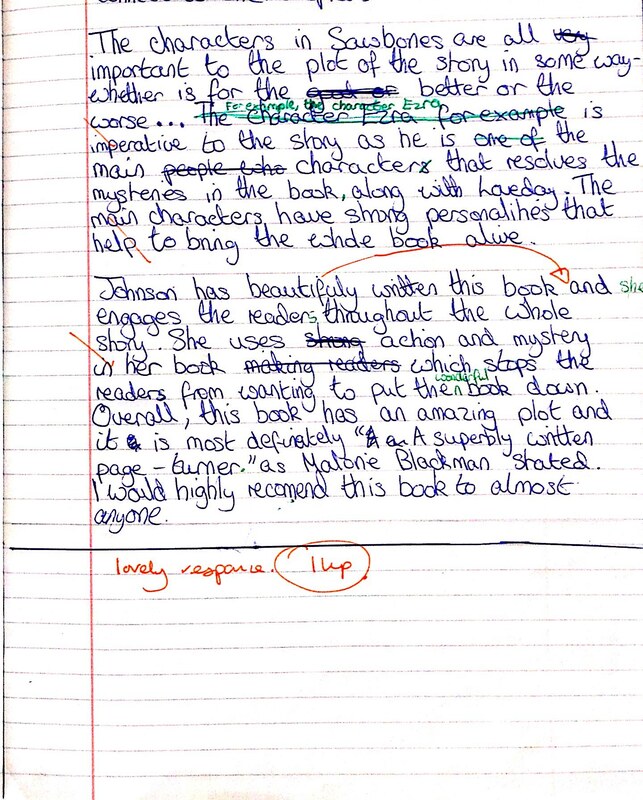 At the end of the course, work on the character of Loveday will be undertaken before reviewing the book. I will add the reviews to this blog post. These images are of the Role on Wall referred to in the teaching PowerPoint. I can still remember my English teacher from Y7 because he was so dynamic and engaging, and clearly loved to teach. I think many of your students probably feel the same way about you.